August 5th in Premium Plug-ins by Wordpress Jedi . There are plenty of auto-blogging plugins available on the market. I am not a big fan of automated blogs. It is tough to provide people with value when you are automating everything that goes on your website. That is not to say WordPress automation plugins can not have a place in your arsenal. Plugins such as WPTurbo give their users the opportunity to create niche blogs automatically. Just like any powerful weapon, this plugin can be used for legitimate or negative purposes. May 14th in Premium Plug-ins by Wordpress Jedi . 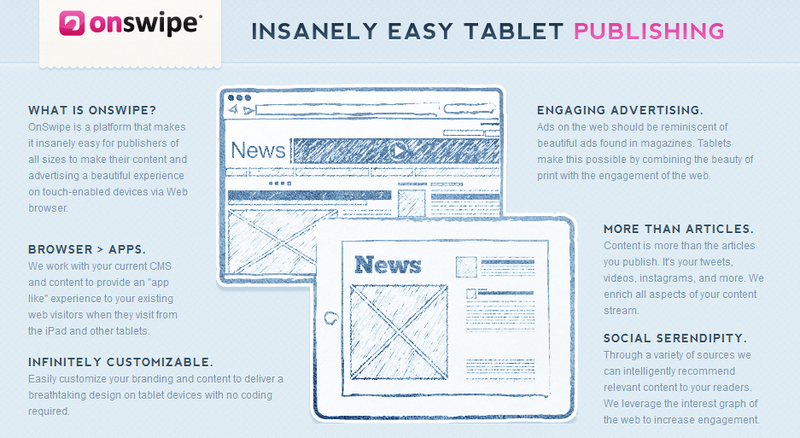 Onswipe: a powerful platform that makes your website as tablet friendly as possible. It makes going through your content easier on tablets such as iPad. 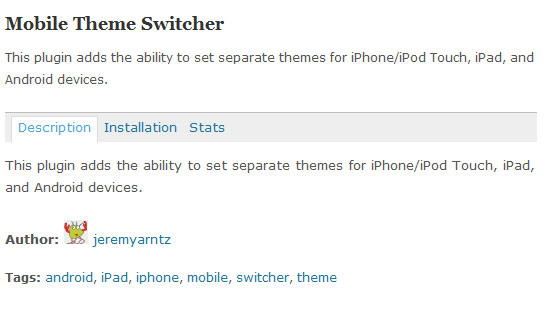 Mobile Theme Switcher: it allows you to show a different theme to your iPhone/iPod Touch/iPad visitors than your desktop visitors. 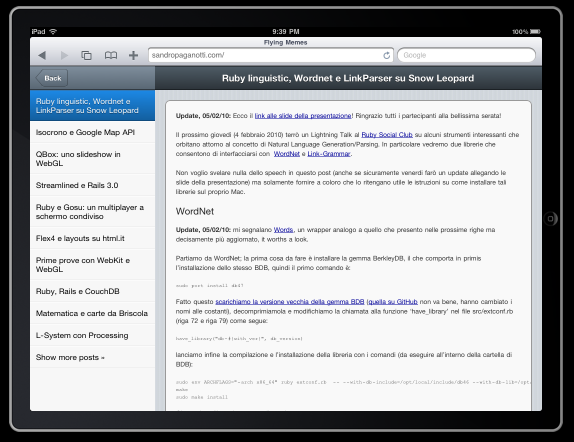 WiPad: an iPad friendly theme for WordPress that makes it much more convenient for your iPad visitors to go through your content. Both viewing modes are supported. May 8th in Premium Plug-ins, Wordpress Plugins by Wordpress Jedi . In a perfect world, we’d all speak one language and there’d be no reason to even consider translating our websites to other languages. Unfortunately, that is probably never going to happen. Thanks to plugins such as GTranslate, you can easily let your visitors translate your website’s content into their favorite language and enjoy your content like everyone else. 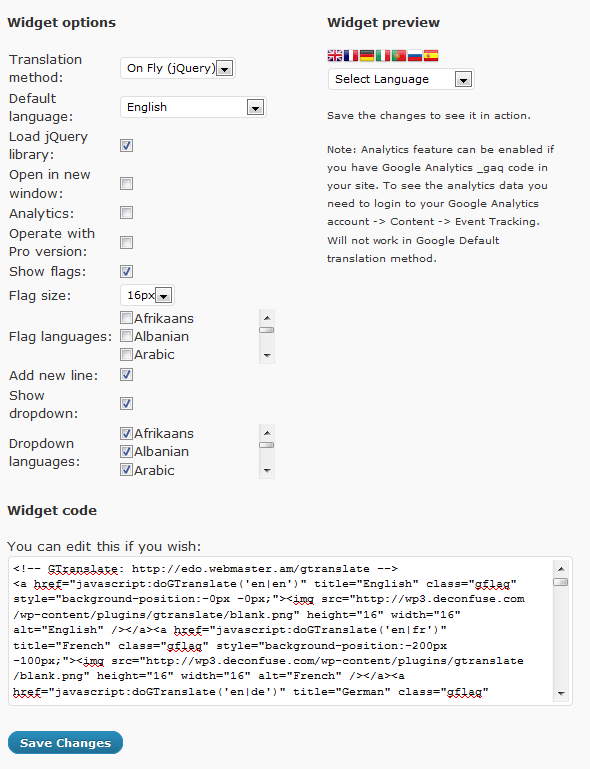 GTranslate takes advantage of Google’s translation service to let you go international with your website. It supports 58 languages from around the globe, so most of your visitors should be able to get something out of your website. May 1st in Plugin Lists, Premium Plug-ins by Wordpress Jedi . 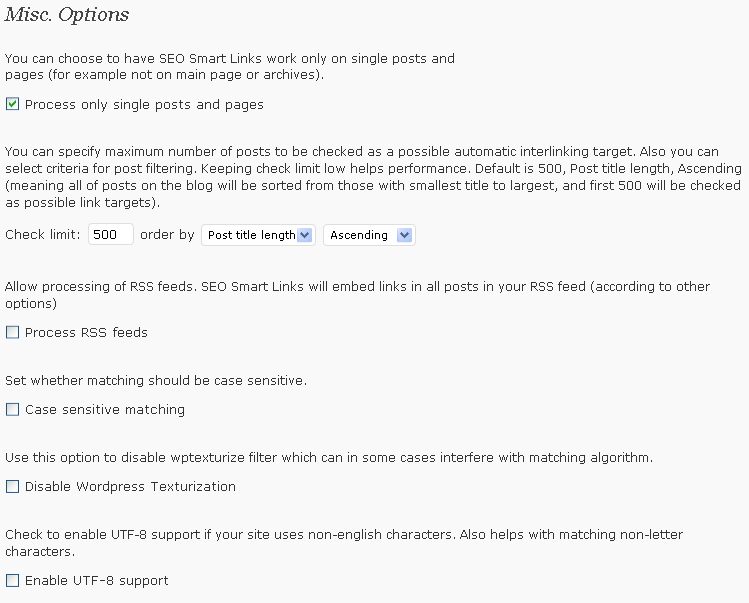 SEO Smart Links Pro: a powerful WordPress plugin that lets you improve your site’s internal link structure dramatically. The pro version gives you much more flexibility and better performance. April 11th in Premium Plug-ins by Wordpress Jedi . Whether you are starting a new blog, redesigning your old one, or just planning to sell your first product online, you need to start creating buzz for your product as you put the final touches in the background. 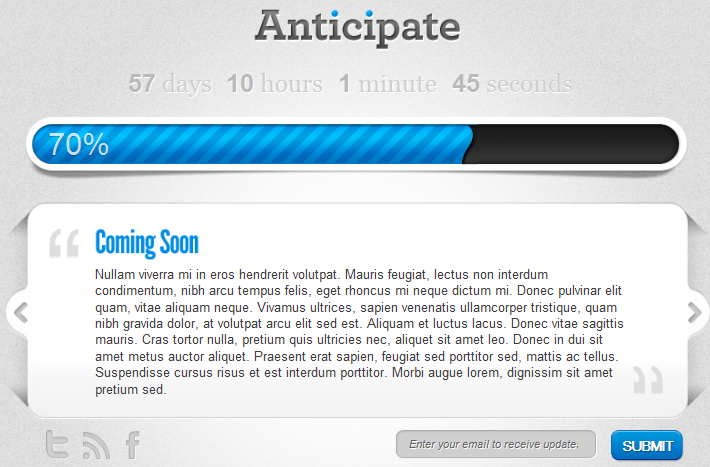 Having a “coming soon” page up and running for your website would certainly help. Anticipate is a simple but good looking plugin for WordPress that serves an alternate “coming soon” page to your visitors as you work on getting your product ready for launch. March 6th in Plugins For SEO, Premium Plug-ins by Wordpress Jedi . 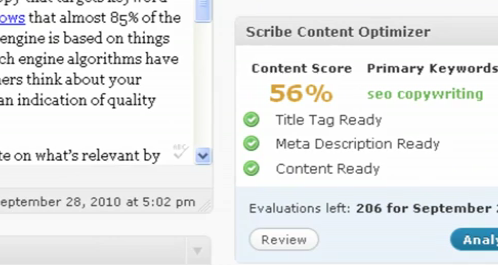 My Review Plugin: a powerful plugin that turns your website into a fully-fledged review portal. 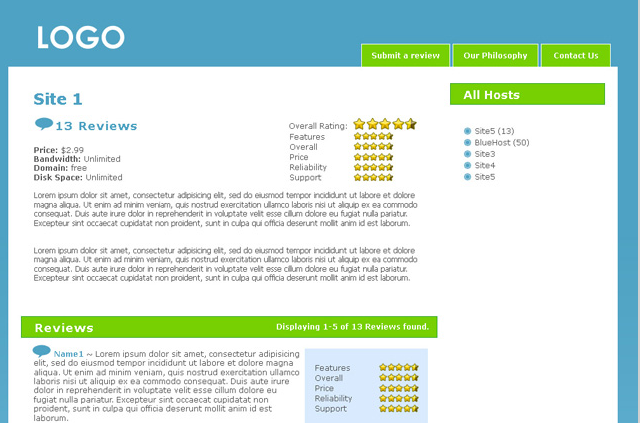 It adds ratings to your comment section and enables you to build awesome looking comparison tables. Comes integrated with Google Maps. Automatically grabs thumbnails too. WP Review Site: this plugin is written specifically for those who want to make some money from comparison websites. Adds ratings to your website and comments. Allows you to sort your posts by the # of reviews or ratings. February 20th in Premium Plug-ins by Wordpress Jedi . No matter how experienced you are in the world of the Internet, you should take time to learn about testing every aspect of your website. Not all themes are created equal. Some convert better than others. You can define conversion as almost anything. Maybe you just need more people to click on your Adsense ads. Or you would like to pick up a theme that promotes the affiliate products you have on your website more effectively. 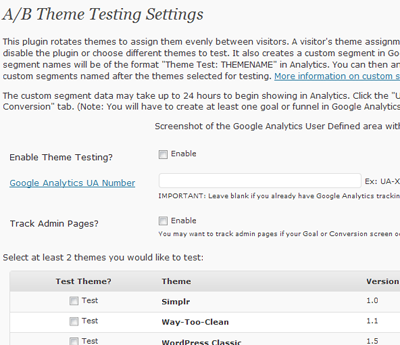 That’s what A/B Theme Testing Plugin offers.